Thomas Hardy’s Ale gets better with time. By interpreting the original recipes of the pioneer Barley Wines of the English aristocratic cellars at the end of the 18th century, the secondary fermentation taking place in the bottle gives the Ale a fine condition as it matures. The loss of sugars results in a dryness of taste, just as with a red wine. The back label of Thomas Hardy’s Ale makes clear its potential to be laid down like a fine wine. The balance between sweetness and dryness is clearly each beer drinker’s choice. One may find it at five years, another at 12, and yet another at 25 or more. Some people who had the opportunity to try it say that it reaches the best aroma and taste after 25 years of maturation in bottle. Most vintages of Thomas Hardy’s Ale are sealed with crown corks. Keep bottles with crown corks in an upright position to minimize the liquid surface area exposed to infiltration of air. If one is fortunate enough to have an extremely rare vintage with a driven cork, these bottles should be laid on their side to keep the cork moist as with a fine wine. Store bottles in cellar at 13°C / 55°F, away from light, for at least 12 months. Before drinking, stand the bottle for 24 hours to allow natural yeast sediment to settle. The suggested serving temperature is from 13°C to 18°C / 55°F to 64°F. Pour the Ale in a broad balloon glass and wait some minutes to allow its settling before drinking. In the meantime, you can take delight by the deep amber color with dark golden highlights and by the succession of aromas.  Thomas Hardy’s Ale is a versatile brew that can be enjoyed with meals ranging from red meat to pasta, and is equally enjoyable at home with after dinner cheese or sweets. It’s in grand harmony with hearty stews and soups, and perfect with plum pudding or fruitcake, especially when young. Pairings with blue cheese, dark chocolate or, why not, a good Cuban cigar are highly recommended. It’s a relaxing “nightcap” and a warming friend in winter. In short, the time to enjoy it is limited only by one’s imagination. 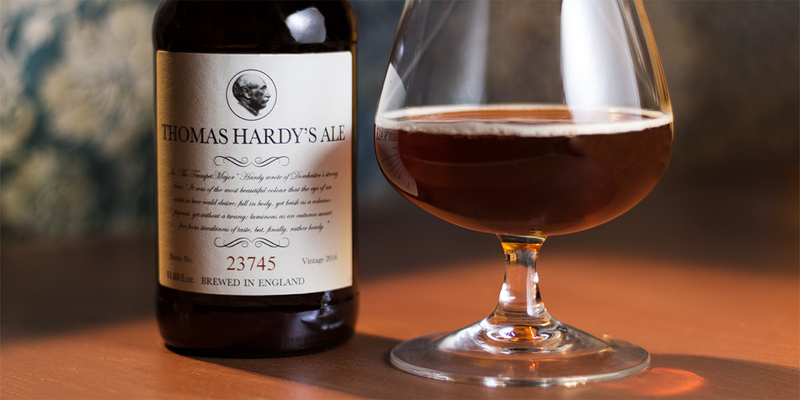 Thanks to its complexity in flavor and fragrance, in our opinion Thomas Hardy’s Ale is best enjoyed by itself. Sampling each vintage year after year gives the joy to compare the changing subtleties of taste. What’s more, just as with wine, no one is quite sure what happens inside the bottle. Differences may exist from brew to brew, and even bottle to bottle.